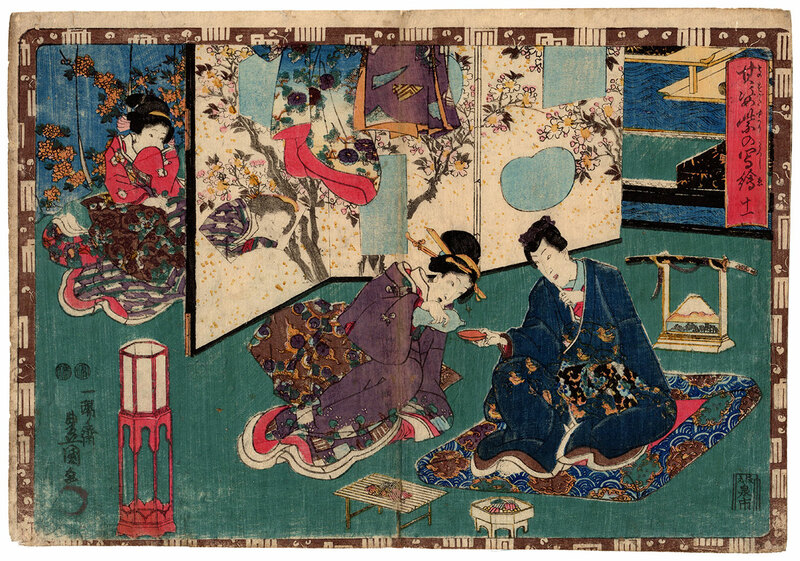 Elegant polychrome woodblock print made around 1848 by the famous artist Utagawa Kunisada (歌川国貞) and inspired by the eleventh chapter, entitled "The Village of Falling Flowers" (花散里), of the Genji monogatari (源氏物語), the masterpiece of Japanese literature written in 11th century by the court lady Murasaki Shikibu (紫式部). 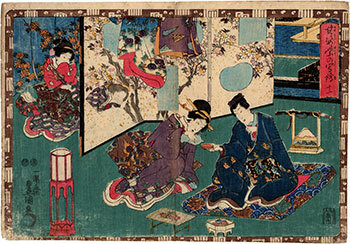 The work was printed by the publisher Izumiya Ichibei (和泉屋市兵衛), owner of Kansendo (甘泉堂), and is taken from the series "Sono sugata yukari no utsushi-e" (其姿紫の写絵), a title variously translated as "Magic Lantern Slides of That Romantic Purple Figure" or "Faithful Depictions of the Figure of the Shining Prince", but that we like to interpret "Images of Murasaki's Characters" catching in the ideogram 紫, "purple" but also "Murasaki", a simple tribute by the artist to the famous writer mentioned above. 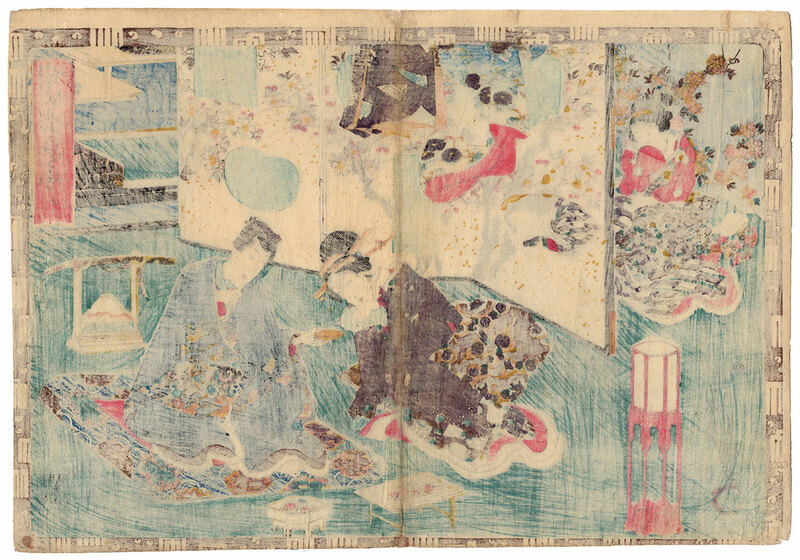 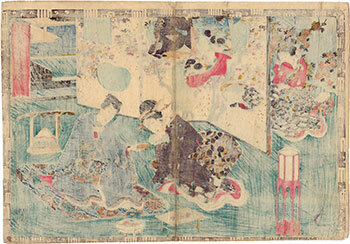 The print on Japanese washi paper (和紙), despite the obvious signs of aging, keeps intact its extraordinary visual impact.